Check out Cobbler’s quaint rustic charm, mesmerisingÂ whisky selection, and bring along whatever you want to eat while you’re at it! 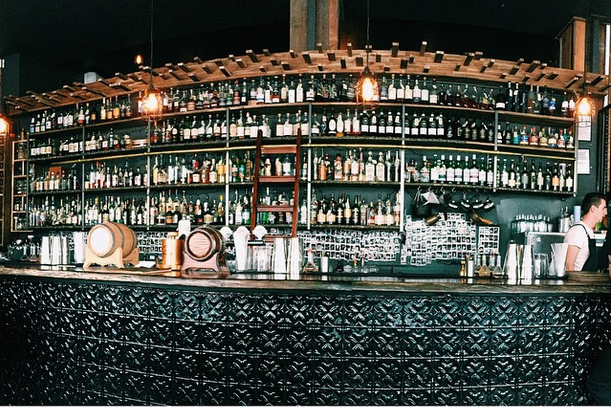 Cobbler has an impressive portfolio of over 380 whiskys, meaning it is a mecca for fans of the spicy brown tippler. Their whiskeys are sourced from Scotland and further – some labels are from Australia, Japan and Canada. The walls are adorned with rustic collectibles, including anÂ old-time bicycle and a map of Scotland which pinpoints the origin of Cobbler’s Scottish labels. A long, wooden table fills the downstairs space whileÂ cosyÂ booths are nestled upstairs. 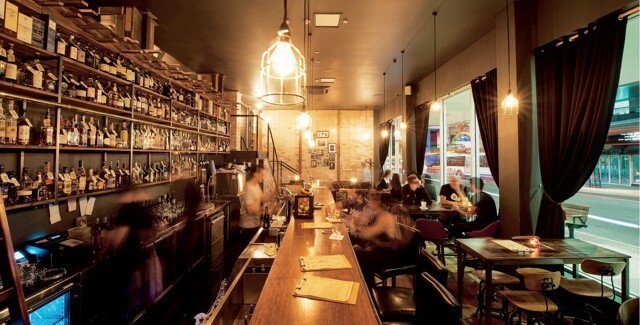 Recently identified by CNN as one of Brisbane’s best secret bars, Cobbler has many unknown quirks. Bar Manager, Hugh Tamer spoke to Creative Drinks about some lesser-known facts about Cobbler. “Our license does not allow us to prepare food. But people like to drink and eat at the same time, so we decided to make Cobbler BYO food,” Hugh said. “We have a really good relationship with Little Greek Taverna, our next door neighbour, Grill’d, and Bird’s Nest, which is around the corner. Scotch enthusiasts from around the country may also be interested in Cobbler’s Islay Scotch collection. Though the average price for a nip of scotch around Australia is $6.40, some of Cobbler’s labels redefine the meaning of expensive. “Our Japanese whisky Yamazaki 25Â costs $220 a nip. It’s stupidly expensive but it’s beautiful, bang on,” Hugh said. “An obscure one is theÂ Scotch Malt Whiskey Society who do individual bottlings fromÂ randomÂ distilleries around the world. Cobbler contributes hugely to Brisbane’s bar scene with their unrivalled focus on all things whisky and their unique ‘BYO food’ attribute. Melbourne’s Fitness and Health Expo!